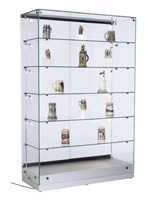 These tempered glass LED display cases are great for featuring curios, collectables and merchandise with energy efficient lights. 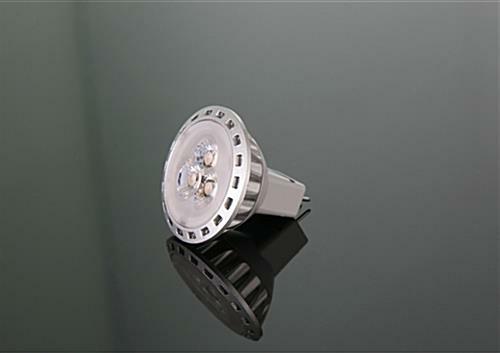 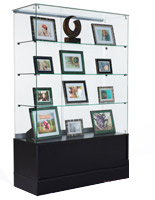 The stands have a full-view design for use in jewelry stores and galleries. 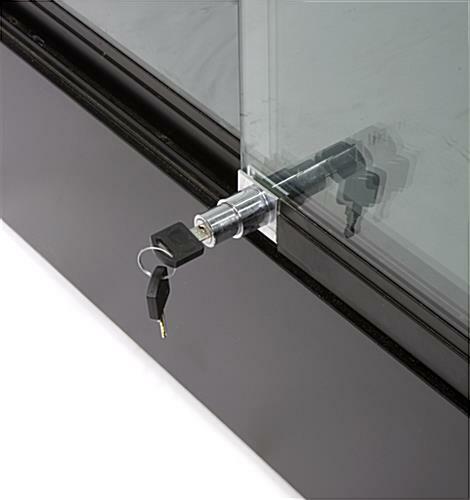 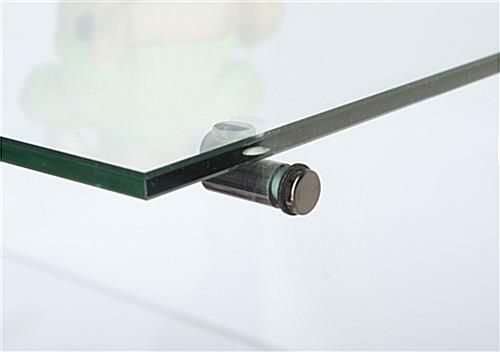 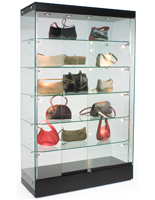 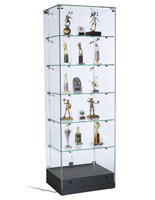 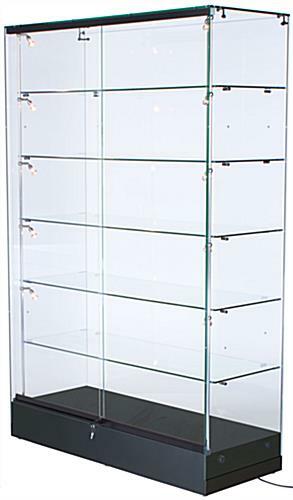 In addition, the glass LED display cases have a black laminated MDF base that meshes with any environment. 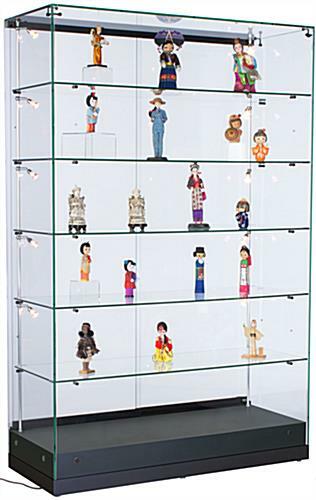 The showcases come with ten vertically mounted lights for illuminating curios. 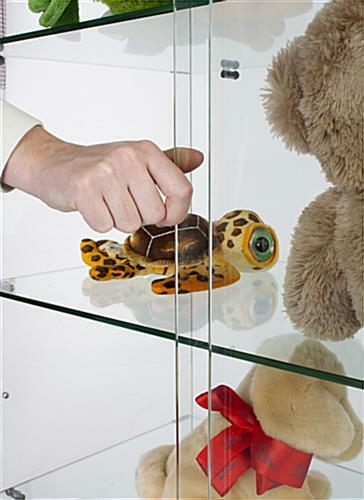 Another feature of the jewelry store display cases is their locking, sliding doors that protect their contents from theft. 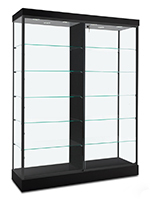 Each of the black fixtures with lights has adjustable shelves for accommodating larger wares.